Miami is one of the most widely used seaports for cruises departing from the state of Florida. It’s also home to plenty of cargo ship companies as well. 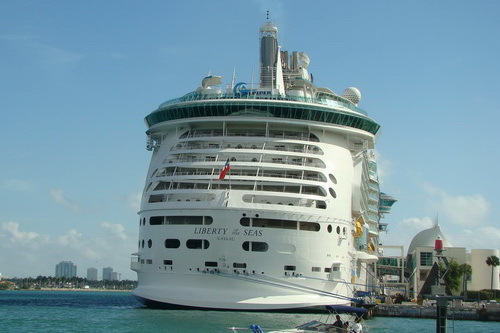 The deep channels make it easier for cruises to maneuver in and out of the ports. People flock to go on cruises because it’s an affordable way of experiencing a variety of exotic destinations without them having to file bankruptcy. They get to enjoy gourmet meals, upscale entertainment, pools, and the like on a budget. Luxury Transportation Group USA offers high-end cruise transportation, and they won’t break the bank. Anytime someone is going on a well-deserved vacation, the mode of transportation getting them to the port can be the difference to an awesome holiday, or one that starts off stressful. Hiring a company to get you to your port of call can make the beginning of your excursion a very comfortable and uneventful one. It makes sense to lean back and relax, and leave the driving to a professional. Luxury Transportation Group USA provides comfortable vehicles for cruise limousine services. Luxury Transportation Group USA is the premiere provider of luxury cruise ship transportation services in Miami, Tampa, and shuttle buses from Orlando to ports of call. Their professional drivers, luxury limos, and concern for the safety and comfort of their passengers is second to none in the industry. Call 407-476-0429 to reserve a car for your transportation services to your port of call.